Freerider Red is a dry, smooth, medium-bodied wine with delicious dark berry, apple-wood, and warm clove notes. 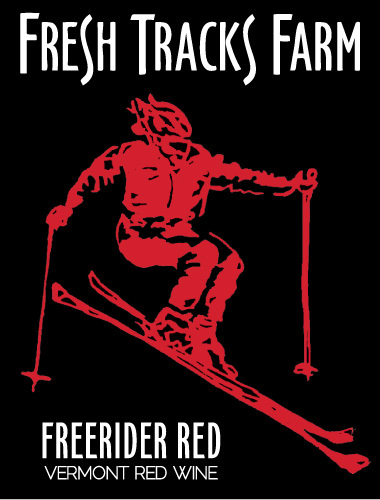 Inspired by the exhilarating joy of skiing, Freerider Red is a perfect glass to celebrate those hard-earned fresh tracks. This wine is composed entirely of our St.Croix grapes, fermented in stainless steel and aged for an average of 12 months in our oak barrels. Grape Information: Freerider Red is made from 100% Vermont Grown St.Croix. This red grape shows good resistance to most of the major vine diseases, and is usually hardy to -32°F or warmer. The wines tend to have low-medium tannin levels, and can be quite fruity.